A nice feature for any vehicle to have is a power socket. 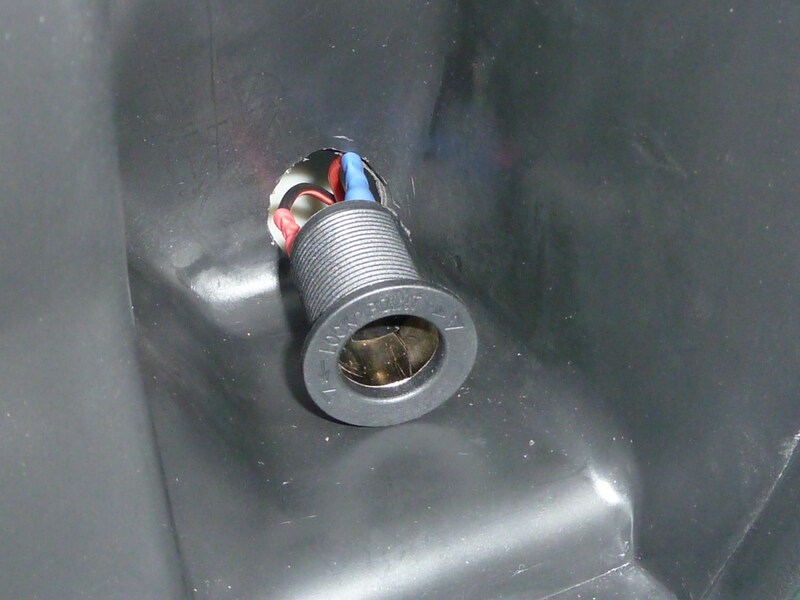 The classic ‘cigarette lighter socket’ is practically ubiquitous in cars, and accessories based on this fitting are widespread. Anything from phones to sat navs are equipped to use it as a source of power. It’s also handy for running a small compressor to put air in your tyres. This is very easy to do. The only issues are with the practicalities of mounting the socket in a suitable position, and running cable to a suitable source of power. I decided to mount mine in the lockable ‘glove compartment’ box, as obviously it should be weatherproof and reasonably secure. The clear choice here was either the left or right recess. 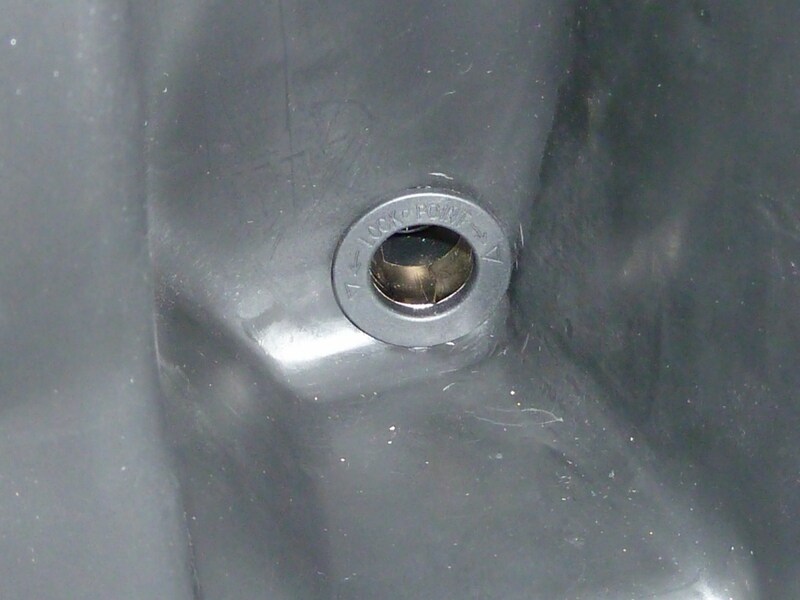 A quick look under the front-wheel recess shows that the horn is directly in front of the left recess, and may risk getting hit by the drill-bit. The space behind the right recess is a little more roomy and easier to reach and work around. The first thing to do is to drill a hole. The hole actually needs to be 28mm if you’re using the connector I list, but a 25mm drill can suffice, as the plastic is soft and the hole can be easily ground larger with the bit. Next, you need to prepare your connecting cable. Crimp the spade connectors to one end of the figure eight cable, then thread the connectors through the hole and plug them onto the terminal heads at the back of the socket. Once this is done, thread the big plastic nut that comes with it up the wire and into position behind the compartment. It’s easier to reach this area if you turn the wheel hard right so the forks are out of the way. 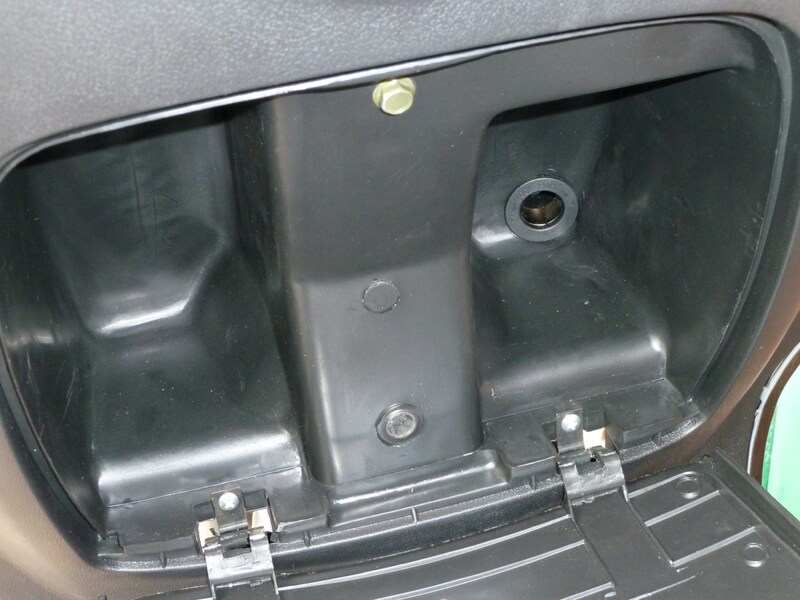 The socket can then be pushed through the hole and secured from the back of the compartment casing by the nut. It’s a good idea to use a large rubber gromit or some silicone sealant here to prevent water seeping through the join during bad weather. 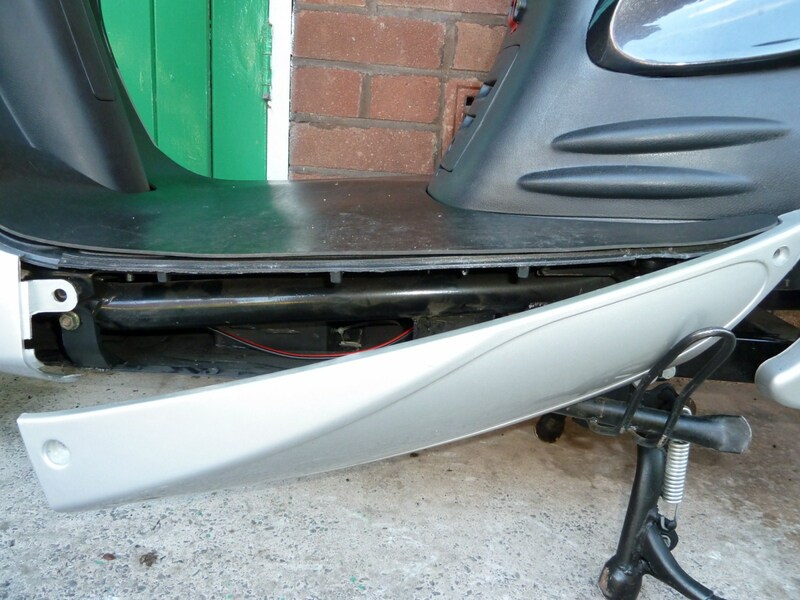 It’s also a good idea to tape the cable to the inside of the bodywork to keep it clear of the forks. Next, the cable needs attaching to a 12V source. It might seem logical to simply attach it to a live 12V wire in the nearby instrument panel loom, but the problem with that is that this will only be life while the ‘ignition’ is on. I suspect that most people, like myself, will want to be able to charge or power things without the keys sitting in the ignition. So I have opted to thread the cable to the last battery in my (currently 60V) bank, where it will be available as ‘always-on’. This may raise battery charge-balancing issues with frequent use, so you should occasionally balance your batteries as a matter of course to keep them at peak performance. 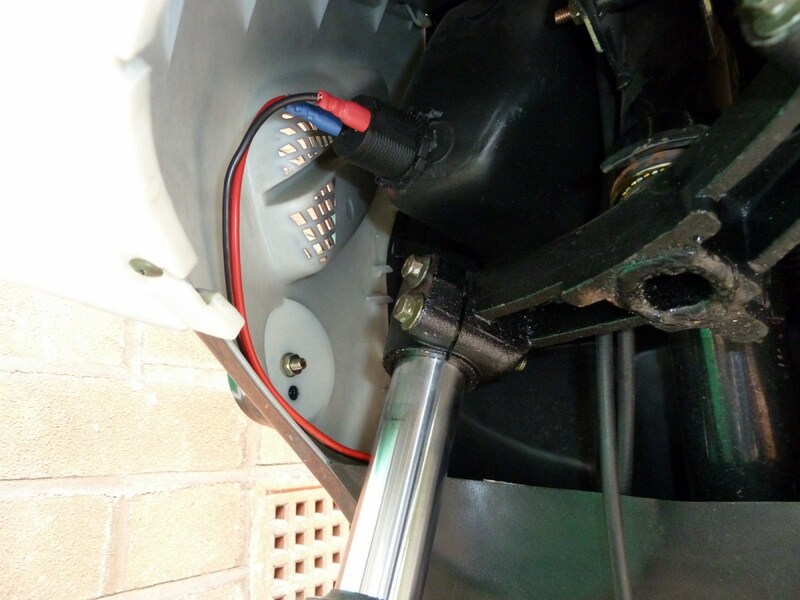 I’ve run my cable alongside the existing main wiring conduit along the left side of the bike, so that it emerges into the battery bank under the seat. 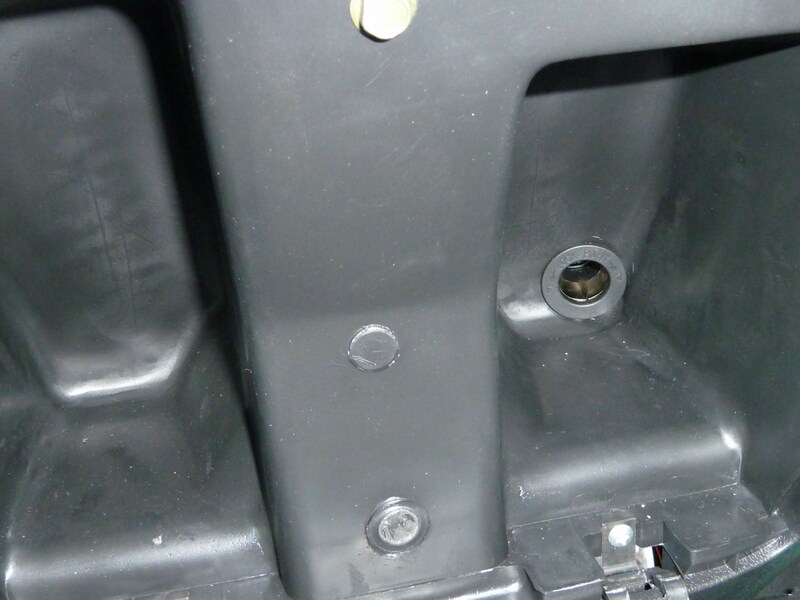 You can remove the side panel by unscrewing the bolt and screw securing it at either end and releasing it from its retaining clips. Cut off the wire at a suitable length, attach the ring connectors, and secure the end of the finished cable to the terminals of the battery of your choice. In my case I’ve opted for Battery No.5 of my 60V system, as I charge this battery separately anyway and use of the socket won’t throw it out of balance so easily. 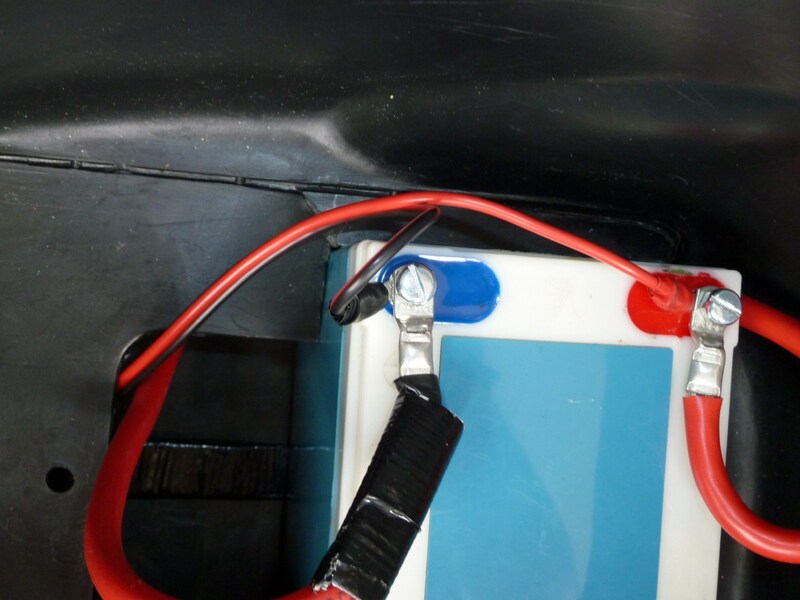 Remember – the positive terminal of the socket (marked on the plastic) goes to the positive terminal on the battery. And there you have it: A ready power socket for all your rechargeable doodads and other accessories! You are currently browsing the archives for the 4.5.4. 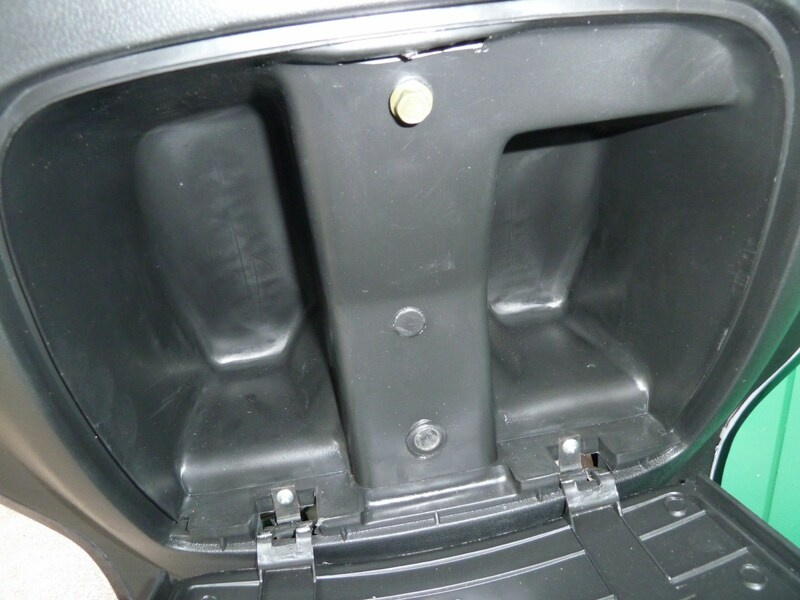 Adding a Car Accessory Socket category.